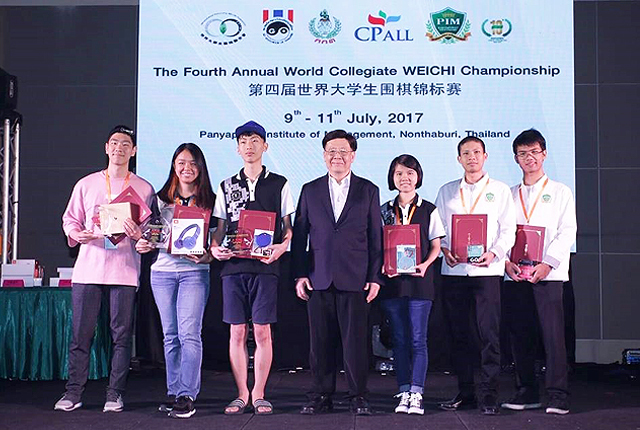 UTAR stamped its mark in the Fourth Annual World Collegiate Go Championship which was held at the Panyapiwat Institute of Management (PIM) in Thailand from 7 July 2017 to 13 July 2017. The championship was jointly organised by the International University WEICHI Federation (IUWF), Shanghai Ing-Chang Qi Weichi Foundation, Go Association of Thailand and Panyapiwat Institute of Management. The championship was an open international tournament for university students from all over the world, with the aim of promoting the Go game among universities worldwide, advance linkage and communication amongst collegiate players. It brought together more than 100 participants from 72 universities, including prestigious universities such as Harvard University, University of Oxford, Tsinghua University, Shanghai University of Finance and Economics, National University of Singapore, Massachusetts Institute of Technology, University of Melbourne, and Myongji University. The tournament was divided into five categories following its rank, which were Category A (5 Dan and above), Category B (1 Dan to 4 Dan), Category C (5 Kyu to 1 Kyu), Category D (Under 5 Kyu) and Category E (Women’s group). UTAR representative, Khoo Jia Ming played the matches under category D. After the six rounds of intense struggle, she managed to win five games out of six and successfully took home the second place with souvenir and certificate as the prizes. Present for the closing ceremony to award the winners were International University WEICHI Federation President Ying Ming Haw, Go Association of Thailand President Korsak Chairmisak, Chinese Weiqi (Go) Association President Wang Runan, PIM President Associate Professor Dr Sompop Manarangsan and other welcomed guests. 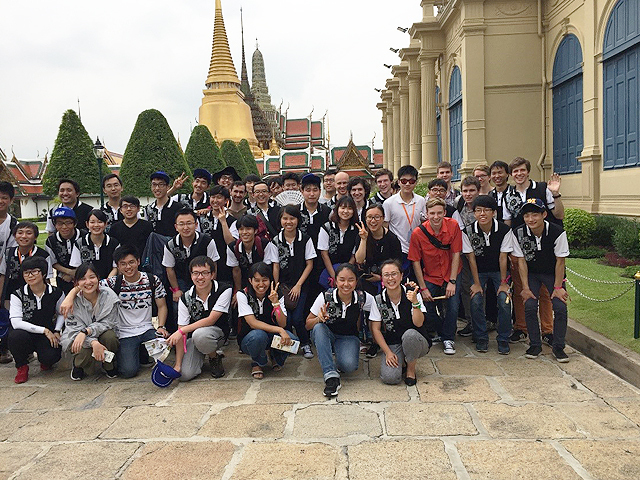 Besides the tournament, trips to the Thailand Bangkok Wildlife Park and the Grand Palace were organised for the participants. Other activities such as PairGo, lightning game and teaching game were also organised for the competitors. 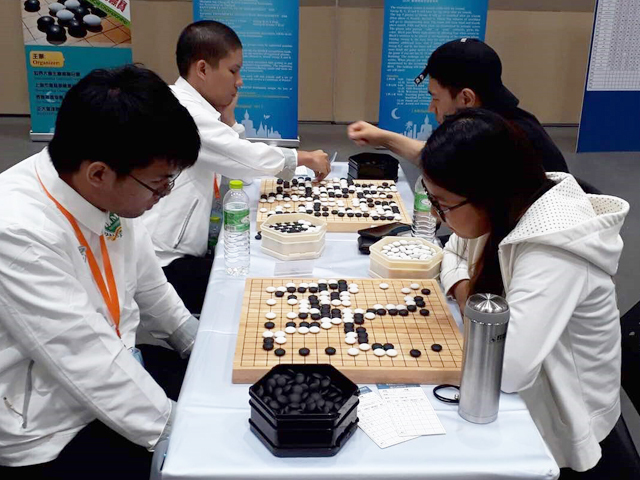 Teaching game was given by several professional Go players, which included Chen Yao Ye (9 Dan Pro), Jiang Wei Jie (9 Dan Pro), Tao Xiao (8 Dan Pro), Niu Li Li (5 Dan Pro), and Gu Ling Yi (5 Dan Pro). 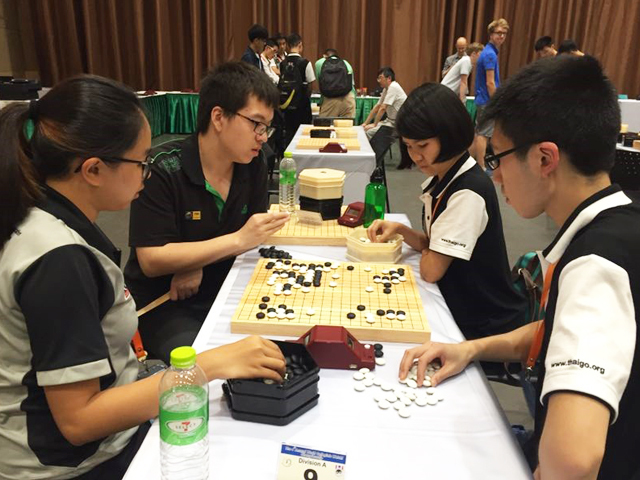 Previously, three Collegiate Go Championship were successfully organised in Hong Kong， Taipei and Toronto. The next year's tournament will take place in Europe.